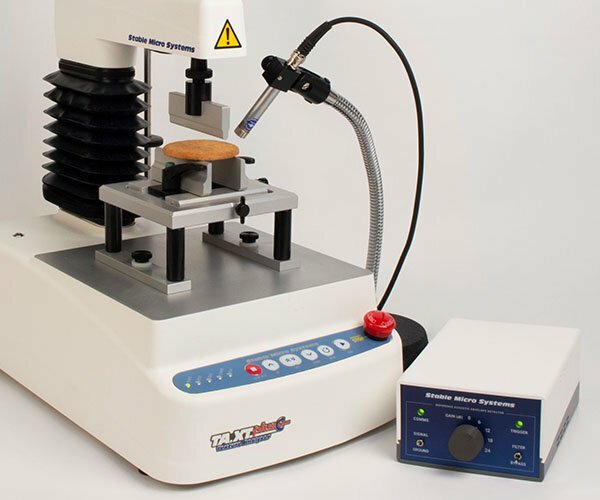 The TA.XTplusC Texture Analyser presents a small portable solution for your texture analysis testing, measuring up to 50kg in force, and is consequently the most popular choice for universal texture analysis. The TA.XTplus100C retains the benefits of the TA.XTplusC, with the additional capability of utilising forces up to 100kg, along with an improved distance resolution, doubled to 0.0005mm. 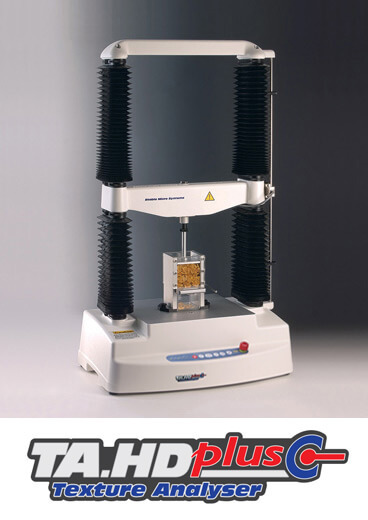 Alternatively, the TA.HDplusC Texture Analyser offers a maximum force capacity of 750kg (7.5kN), and a family of intelligent, factory calibrated loadcells down to 0.5kg. 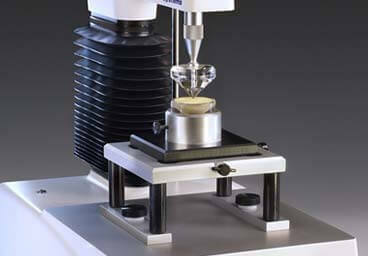 It can perform precision testing to a few grams without compromising accuracy, whilst providing the required rigidity to accommodate measurements of considerably higher force for heavy duty applications. 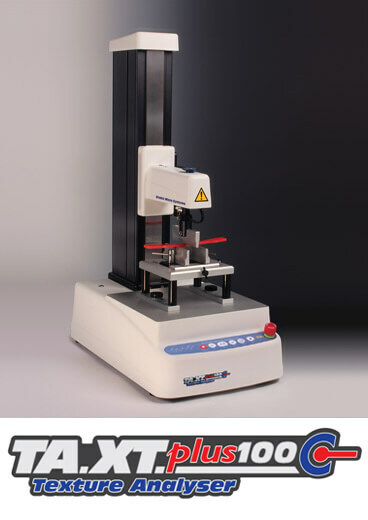 The greater testing bed area and height range offer the ability to test much larger samples within a twin column frame, making this instrument the obvious choice for users testing a wide range of products, or for those who have an uncertain future product testing requirement. 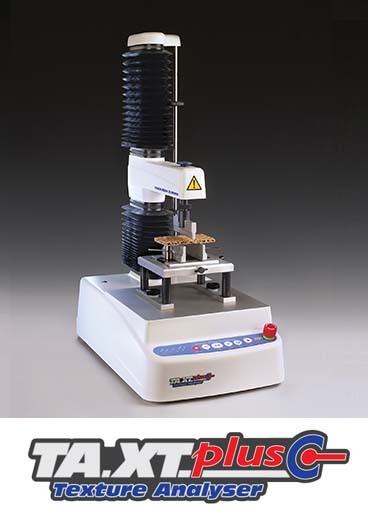 The TA.XTExpressC is an entry level and QC-based texture analysis option when compared to our sophisticated full-featured Plus range. 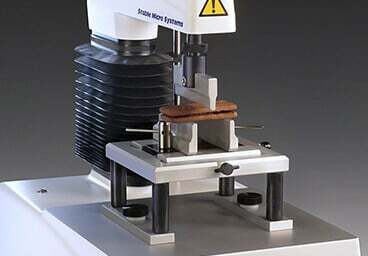 It offers cost-effective portable analysis for a wide range of low force applications. With a choice of two dedicated software packages or keypad operation, the instrument is easily configured to meet the user's exact requirements. 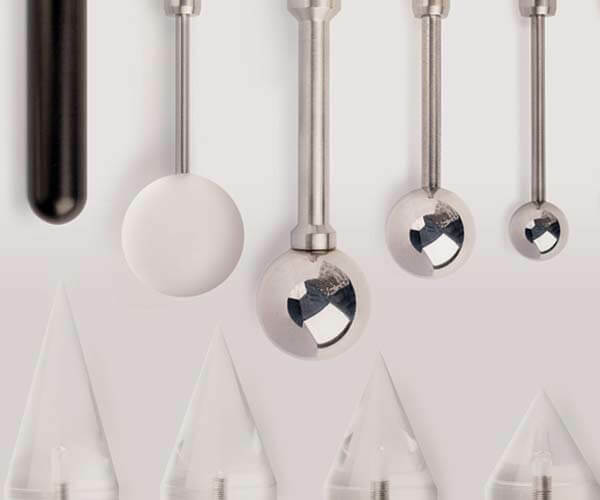 Test profiles are stored for immediate use and the results analysed automatically using either 'in-built' Standards, such as TPA or Bloom, or product specific procedures. 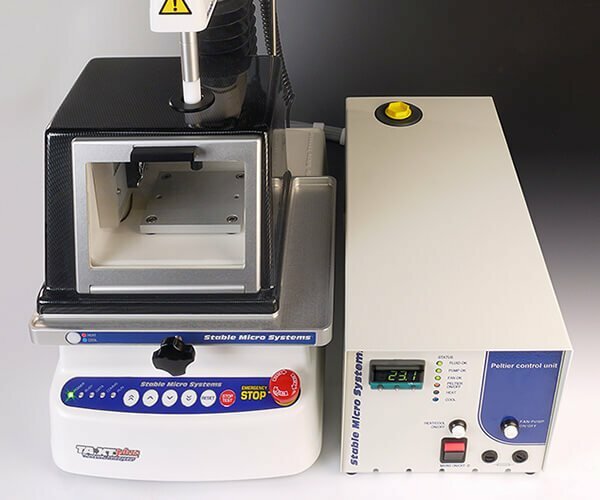 All Stable Micro Systems Connect series Texture Analysers are capable of operation by the standard equipment Touchscreen Interface as well as by a desktop or laptop PC. In addition, they may also be operated from a mobile phone or tablet using the Browser Interface. 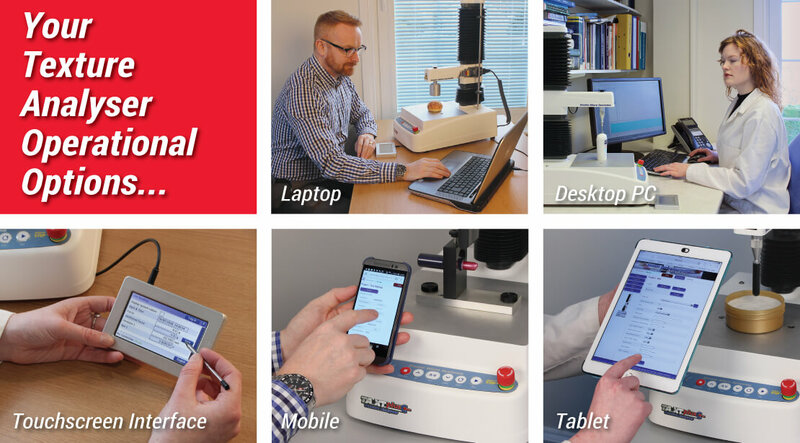 Whether you are new to texture analysis, or an experienced super user, or have specific requirements, you have the flexibility to choose how you interact with your instrument. We offer three ways to run your instrument. Each can be used independently from each other, or you can have a combination of all three. Whichever suits your requirements, the choice is yours. The Touchscreen is supplied with all of our Texture Analysers and is capable of controlling your instrument and running simple tests. 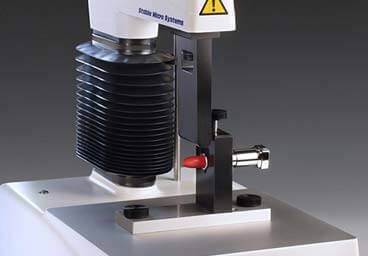 It is ideal for providing a quick result with some single point analysis, such as Maximum Forces in both compression and tension tests. It will even give you a visual summary curve of your test, providing a quick check to see that your test has performed as you expected. Using the Touchscreen, you will also be able to calibrate, control security settings for operators and set up network connections (if required). 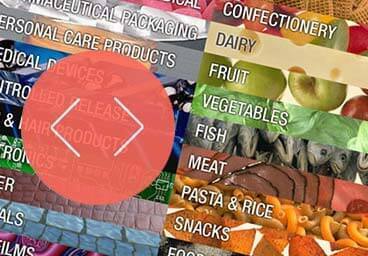 Exponent Connect software is our feature-rich texture analysis package. It provides full control and customisation, ultra-fast data collection and a huge range of analysis features for your every application. Connect it to your instrument locally or install it on a desktop in your office*. 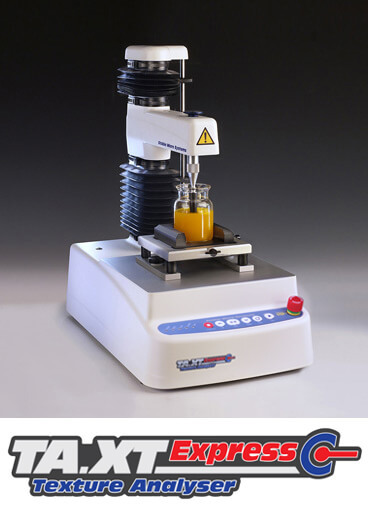 For use with the TA.XTExpressC model, and for texture solutions that do not require any other peripheral devices connected to the Texture Analyser, Exponent Connect Lite may be a simpler option for your application. However, it offers the additional convenience of running on your tablet, phone or laptop. You no longer need a dedicated PC connected to your Texture Analyser. 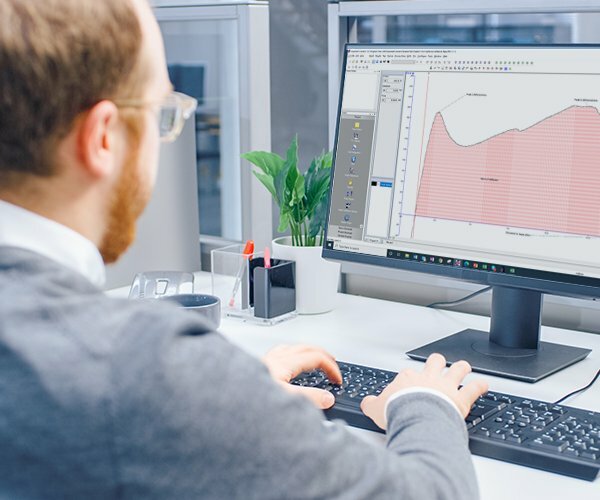 Just open your instrument’s web view, run your tests and analyse your data back at your desktop with Exponent Connect or Exponent Connect Lite software. 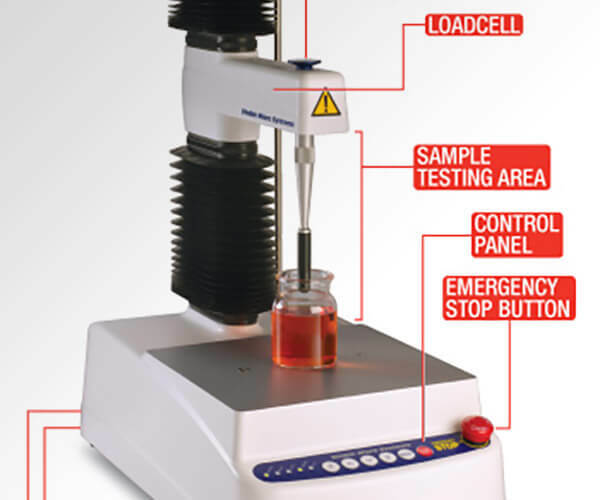 Multiple instruments can be setup and controlled by one device, either nearby or remotely from your desktop, so that your laboratory staff can be running tests that you have configured. 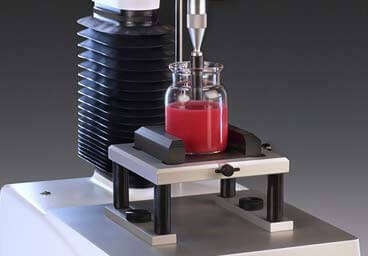 If your product is temperature sensitive, we have a range of temperature monitoring and controlling options. 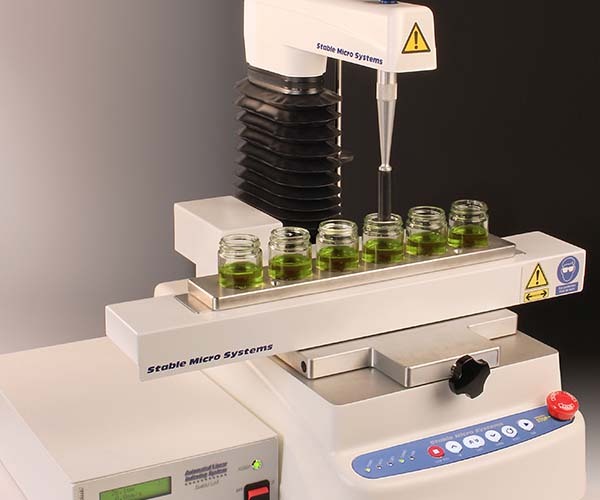 Have a look at an overview of the instrument, and let us tell you why you should choose a Stable Micro Systems Texture Analyser.